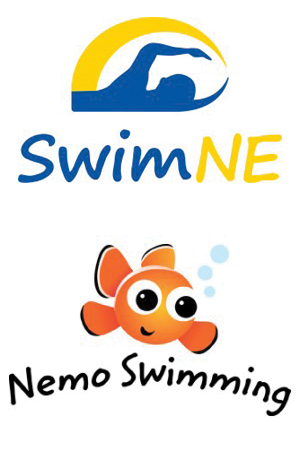 SwimNE are the leading Swim School in the North East. Started in 2006, we have grown to teach babies, children and adults to swim. This growth has been down to the strong reputation we have gained, through the quality of our lessons and the dedication of our teaching staff. We understand the needs of children, parents and our partner organisations and strive to provide a great service at a fair price, with long-term visions for each of our locations. Based on these needs we provide a comprehensive and accessible swimming program across a number of locations in the Tyne & Wear area. Nemo Swimming offers a pathway for children from 4 months to non-school age 4 years of age. Through a games led approach, and fully supporting the parents, we aim to allow your little Nemos to be able to learn their fundamental swimming skills and water safety techniques to ensure competence and safety in the water. We are happy to work in partnership with Boldon Dive Centre to provide a pathway from ‘Pushchair to Podium’. In November 2011 SwimNE & Nemo Swimming were awarded the ‘Swim School of the Year Award’ in the National ASA Swimtastic Awards, being nominated and recognised for the quality of the teaching we provide and the personal touch that we give to each and every one of our swimmers and parents.